I have talked about share repurchases and where companies repurchase their shares but directors selling. The other phenomenon which is of a bigger concern is outsiders buying while insiders selling. 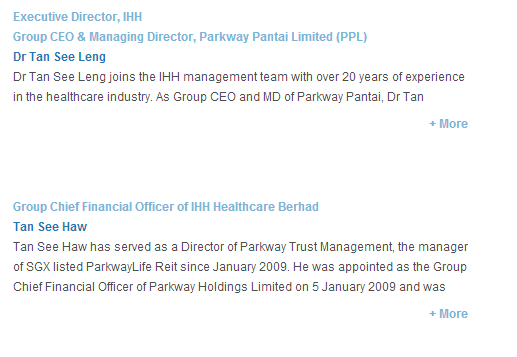 In IHH's case, EPF is considered an outsider despite it being a substantial shareholder. Let me highlight the transactions which I saw today. At the same time, on the same page, EPF was still accumulating. 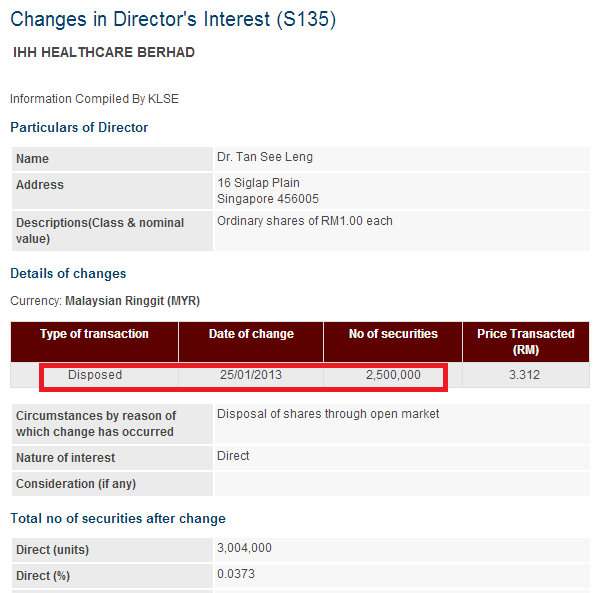 In an earlier article, I have mentioned of the Group CFO transferring his shares so that it is not noticed if he sells. 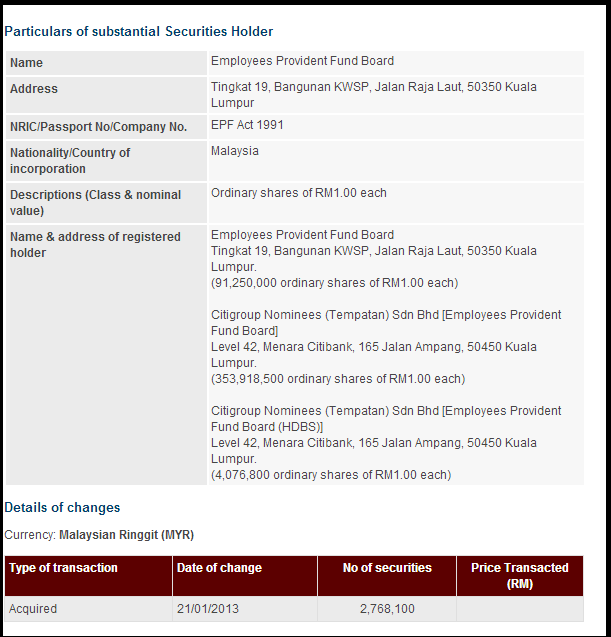 In today's announcement, the Group CEO sold some RM8.28 million worth of stocks. My question if I am Khazanah, why are they selling such a huge stake less than 6 months after the company just got listed!!! Are they not confident of the company they are managing. If I am a shareholder, I would be selling if the company is way overvalued. If I am an employee who happens to be principal officers, I would not be selling despite them being overvalued. Imagine Tim Cook selling huge stakes (I meant HUGE) while he is still CEO of Apple. What kind of message this translates to? I have mentioned of IHH being on the expensive side despite it being an attractive business.